Pope Francis goes to Poland to meet with an expected 2 million young people from around the world, he’s going with a firm idea of the dreams, fears and challenges so many of them face. 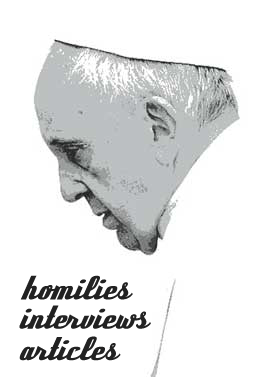 It takes patience and grace, he told disadvantaged university students in Rome in June, to truly listen to what others have to say — a call he repeated during his Angelus address this month, warning that people’s hectic lives were threatening an already hobbled ability to listen. As pope, a busy ministry that could easily lead to isolation or over scheduling, he has worked hard to make the time to listen to people of all backgrounds in public and private settings. And he has often broken with papal protocol to get an unfiltered look at what today’s youth think and feel. His latest sit-down with a group of young people came in May when he met with YouTube personalities from different parts of the world. The popular vloggers have a huge following of millions of young people themselves, and so they know beyond their own personal experiences what many kids today are thinking and feeling. The full 50-minute video of that closed-door Q&A was uploaded recently with little fanfare by one of the 11 young people and posted on the YouTube channel, Anna RF. The questions they ask and advice the pope gives offer a good indication of what he’s been hearing these past years and what he may hope to convey when he meets with participants at World Youth Day events. Bullying, exclusion, intolerance: The pope said dial down aggression by showing tenderness and humility. “Aggression is always a sign of insecurity,” so try to neutralise the attack by showing good manners, listening, softly asking questions about what the person is trying to say and letting them vent their anger. “You should never react to provocation. It’s better to look stupid than respond when you are provoked,” he said. Favour encounters and dialogue that look for a sense of belonging that goes beyond racial, religious, ethnic or group identities. “There is something far greater” to which everyone belongs — the human family, he said. Identity and belonging: The pope said people have to feel they belong to something, and if their family or community is broken, then a virtual belonging online can help. Supportive peers online can create a circle of friendship and belonging, and from there “craft a path of hope” for those who feel lost or alone. Helping those who feel hopeless or lost: The best thing to do is not to speak, but hold their hand, he said. Immigration and integration: Newcomers need to be able to hold onto their own culture, he said. Europe has such a negative experience of migration because they did not develop healthy policies that fostered integration while allowing people to keep their own culture without being judged or rejected, he said. Fostering empathy, understanding among religions in the face of negative media messaging: The relationship between people of different religious beliefs needs to be based on brotherly love because “we all have the same father,” he said. People have to listen to each other and look at the positive things each religion proposes in order to build that positive relationship, he said. Solely underlining what divides one religion from another amounts to “putting up a wall” and attacking each other, he added. He said he looks at what went wrong — not to invent an excuse, but to see where dialogue can be built. The pope repeatedly shows through his gestures and words that “the root of peace lies in our capacity to listen,” as he said at his Angelus address. Listening for the pope ends up being not just a method for gathering information for helping people; the gesture of listening is itself an act of peace.